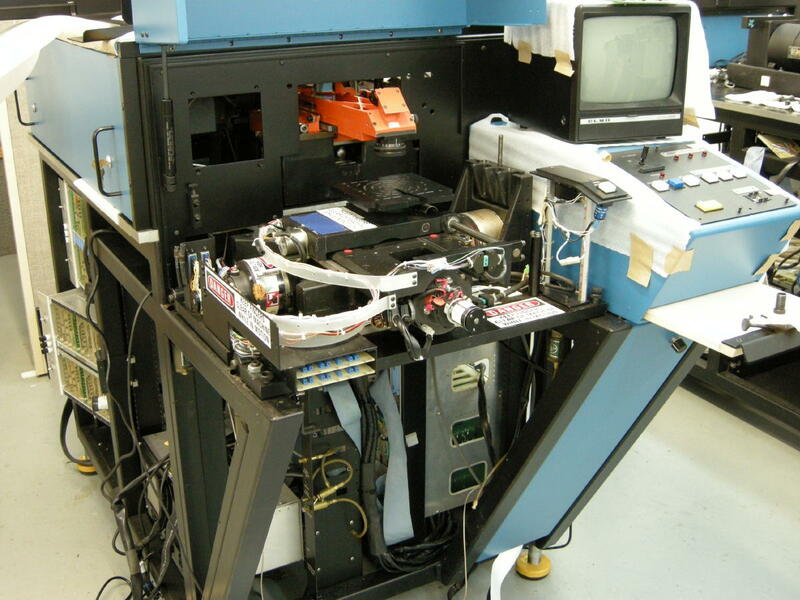 To start the refurbishing process systems are completely disassembled for cleaning and inspection. The linear motors and power amplifier have been installed on this system. New bearings are used when reassembling the stages. 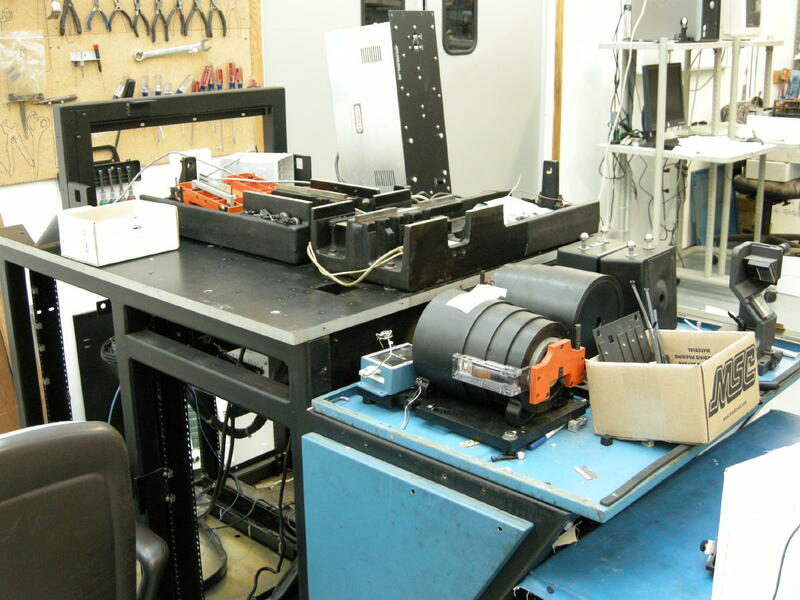 The linear motor sub-system has been completed and most of the electronics & cabling has been installed. 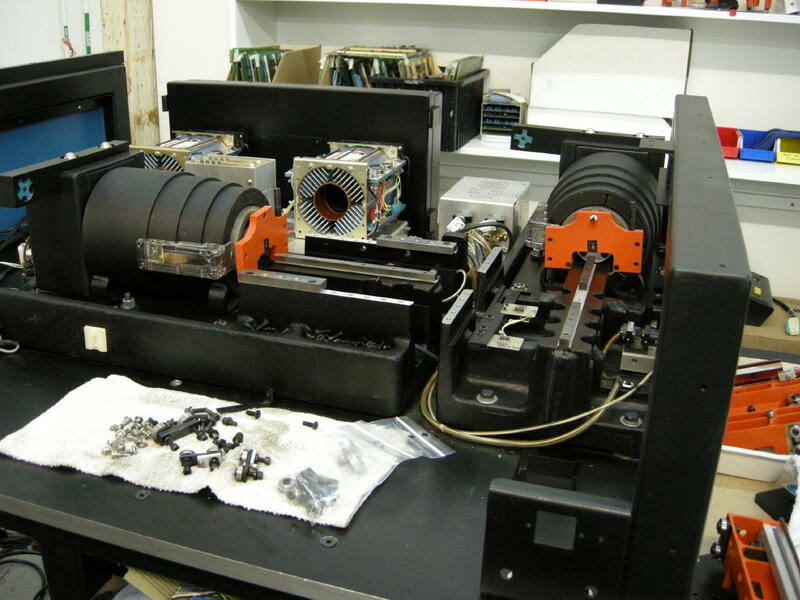 A refurbished parts handler has been installed. This system is almost complete and was getting ready for customer acceptance at the VjE factory. Color CCTV cameras and monitors are standard on every VjE system.